VPNs keep your data secure. They do this through encryption, which is a complex process that, fortunately, can be understood in rather simple analogies. The security provided by encryption, in the most basic terms, is achieved by taking whatever information you’re sending over a public network—such as the Internet—and rendering it unreadable by anyone but the intended recipient. Information that’s sent over computer networks is broken up into packets. These packets are transmitted from the sending computer and received by the destination computer, but they’re transparent to people listening on the line while they’re in transit. This is what allows ISPs to choke the bandwidth allotted to certain types of traffic. Torrent trackers, for instance, are oftentimes throttled or blocked by ISPs due to their associations with Internet piracy. ISPs are capable of sorting through the information passing over their networks and selectively prioritizing or deprioritizing it, essentially. To get an idea of how a VPN works, imagine that you and a friend are mailing documents to one another that you need to keep secure. In order to transport those documents, the Postal Service will use public freeways. In this analogy, the public freeway represents the Internet. In your home, you take the documents, put them into an envelope—which is a packet of information— and then put them into a box that you lock with a padlock, which represents the layer of protection the VPN provides. Before you did this, you exchanged keys with the recipient so that they also have a key to this box. Nobody in between has a key. There are other ways of exchanging keys, as well, which are utilized in some forms of encryption. You take the locked box, go to the post office and put it in the mail. This would be the equivalent of logging onto the Internet with your computer. The post office takes the box, puts it in with all of the other mail headed to that destination and loads it on their truck. The post office is aware of how much your package weighs and its dimensions, of course, but they can’t see what’s inside of it and neither can anyone else. The box prevents them from opening the envelope—the packet—to see what’s inside. When the package arrives, the post office deposits it in the recipient’s mailbox and, upon picking it up, the recipient uses the key to open it and to retrieve the documents inside. The key works rather like encryption works. Without this key, any of the documents inside the box are completely inscrutable to people along the postal route. The overall security of your data depends upon the strength of the lock that holds the box shut. This would be the equivalent of your encryption level. Different types of VPN protocols have varying degrees of security. L2TP/IPsec is a common form of VPN offered by providers that cater to end-users. OpenVPN, SSTP and SSL are other protocols that you’ll see advertised. These protocols are generally very secure, depending upon the level of encryption they have. 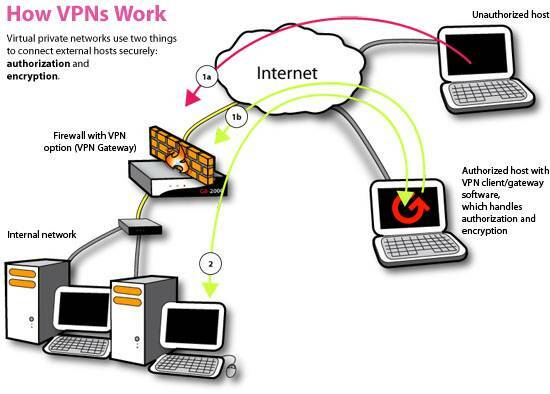 PPTP is a VPN protocol that is not highly regarded for its security and that is easily hacked. Where the strength of the encryption is concerned, you can think of it as the complexity of the lock. High security protocols can be thought of as the type of locks you’d find on safe deposit boxes, which are extremely secure. Low security protocols can be thought of as cheap padlocks that can be cut open with a pair of bolt cutters by anybody with the right tool and a desire to do so. VPN traffic might travel over the Internet but, for anybody trying to pick data up off of the line, the VPN traffic will be completely unreadable. Michael Maxstead writes in depth information and reviews VPN services. Visit VPNReviewz.com for more information on how to use VPN and choose the right service for you.